Stepping onto the Syrian territory once again, after 18 years, I have a mixed feeling. I was still a freshman in the medical school in the year of 2000. I worked for different summer jobs for two months after the semester ended. During daytime, I was a courier and a delivery/warehouse assistant. At night, I was a tutor to secondary school students who were about to sit for HKCEE and A-Level public examinations. I, then, spent the hard-earned money to buy a budget air ticket and daringly started my backpacker journey days later. I wandered to Syria through Turkey, then to Israel, Jordan and at last, Egypt. There was peace in Syria; the war has not destroyed their peace back then. Everyone gave you a smile when you walked on the street. Some even came to shake hands with you. Families who were having picnics in the park invited me to join them as I passed by. Syria, therefore, became one of my favourite countries. Unfortunately, Syria is torn by war for the past 7 years. The scenes reported in the news are unbearable to see. I said yes in no time when I knew I was assigned to an MSF mission in northeast Syria. I really want to provide a meaningful contribution to my once favourite country. 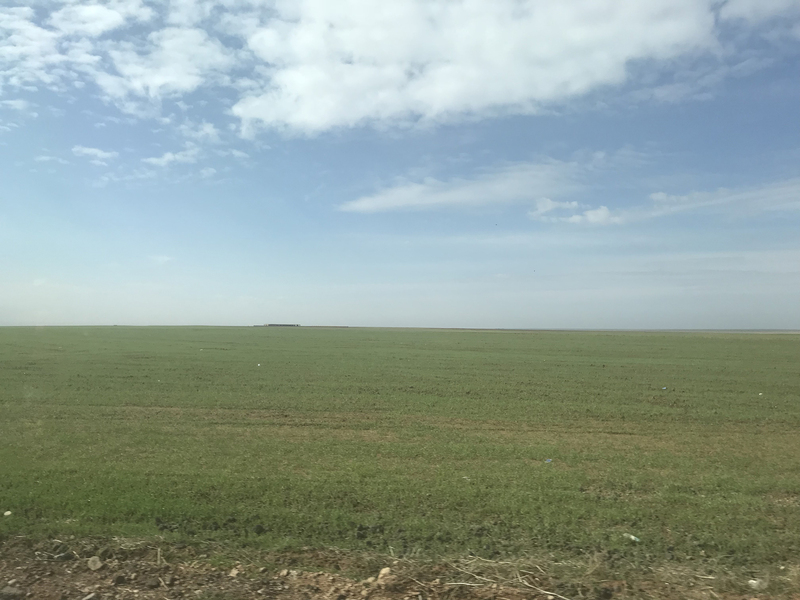 Embarking on my journey from Hong Kong,it took me several days to get into northeast Syria due to border crossing challenges in some neighboring countries. Ten days can be equal to me having a long holiday in Europe! Does the time I have spent mean nothing? How does Syria look like after 18 years? In the following two months, I have got the answers. I worked for MSF in a town named Tal Abyad in northeastern Syria, which borders Turkey. However, just before I set off to Syria, some ground conflict has broken out on the borders with Syria. Shooting could be heard very frequently, especially in the border areas. The atmosphere was tense. 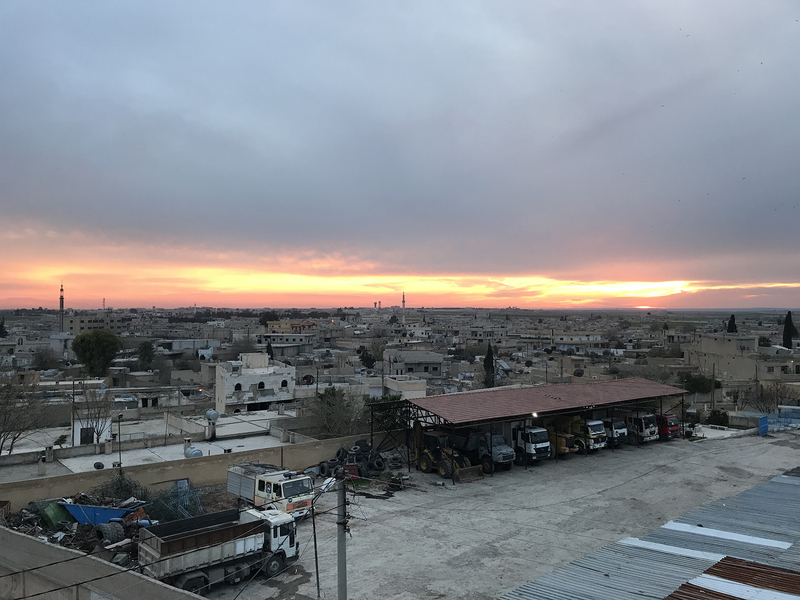 Apart from taking in patients from Tal Abyad, the main workload of our hospital was from the city of Raqqa, which is almost 2 hours drive from us. It was controlled by the Islamic State (IS) group. Al Raqqa was taken by the Syrian democratic forces and the US- led coalition in October 2017. Afterwards people who fled Raqqa during the battels began to return home. However the ruins of Raqqa have left with plenty of landmines and different types of unexplosive devices. As the civilians returning to Raqqa from displacements, we are also seeing a lot of blast injuries. In view of cases that we treated, some accidentally stepped on landmines; some triggered the explosive devices when they opened the fridge; some detonated a bomb hidden beneath the carpet when they cleaned the house; some simply suffered from explosions as they opened a candy jar. In short, some actions that they do routinely in their daily lives can claim lives! Civilians can only choose between being displaced or living on tenterhooks at home. Two patients with blast injuries from Raqqa one night were admitted in the hospital. One of them was a 10-year-old boy who was severely injured. His pupils dilated, meaning a high possibility of cerebral hemorrhage. His upper body suffered from subcutaneous emphysema extensively – meaning that the organs containing air, typically the lungs, ruptured and air goes from the inside to the tissue under the skin. He showed symptoms of serious brain and lung injuries and was confirmed dead after a period of resuscitation . The other 8-year-old patient’s injury was less serious. He kept on crying, it could mean that his vital signs were more stable1. After preliminary assessment, I asked the father, who also kept on crying, what happened to his child. And I suddenly realised that he was the father of both patients. I correct myself, no, he is the father of a patient and a deceased! Since the most important thing to do at this moment was to ensure the safety of his younger son, I did not have time to tell him about his elder son who just passed away. He told me that both of his sons were playing in the street and had picked up a “toy”. And then, the “toy” exploded. In the ambulance, his elder son was already in a coma and his younger son cried incessantly. Immediately, I did a more thorough checking on his younger son. His face was full of ash and slightly burnt. He did not have serious wound but his abdomen was swollen and in pain, showing symptoms of peritonitis, i.e. organs in abdomen were injured and inflamed. Bedside ultrasound examination showed that there was fluid in his abdominal cavity. In normal situation, there should be no fluid in the abdomen. If we find ascites in trauma patients, they may probably have internal bleeding or organ damage. Hence, we arranged an emergency operation on him. After explaining the needs and risks of the operation and signing the operation consent form, the most difficult moment finally came. I had to announce the hardest news to the father. I sobbed while telling him that his elder son died. He wailed, holding the dead body of his elder son, crying while kissing. My heart sank while witnessing the situation. When he finally calmed down a bit, I couldn’t help but to guarantee him that he wouldn’t lose two sons in a night. I will, and I must, save his younger son’s life. I am not god. I’m not able to make the dead come back to life. I don’t even have the power to cure every patient. Though I may not be able to fulfill my promise, I just want to say it out from the bottom of my heart at that moment. I was not sure whether I made the promise to encourage or comfort the father, or to push myself to go to great lengths. These are probably just words that every person in my shoes will say from the bottom of their hearts at that moment. He grabbed my hands, thanking me, till we got into the operation theatre. The surgery on abdomen started. I discovered the younger son’s small intestine had perforation. Luckily, other organs were intact. I repaired the damaged part of the small intestine and cleared the fluid accumulated in the abdominal cavity. The surgery ended after I sutured the wound. Then I ran to tell the father everything was fine immediately. The father who had been crying and murmuring the prayers knew that I didn’t disappoint him once he saw me coming out of the operation theatre with a smile. I promised him once again that he would go home with the younger son hand in hand. His tears of sadness suddenly turned into tears of relief. I hope my little effort could soothe his pain of losing his elder son. After several days of treatment, his younger son recovered gradually. The father put on his smiles gradually, too, walking hand in hand with his little son from here to there. And they discharged from the hospital hand in hand. And I have fulfilled my promise! 1The ability to cry, talk and move etc. means the patient’s vital signs are more stable. It can preliminarily eliminate some emergency situation like airway obstruction, respiratory pause and low blood pressure etc. These signs are important tools for us to triage patients in a mass casualty incident.